The political make-up of the contemporary world changes with such rapidity that few attempts have been made to consider with adequate care, the nature and value of the concept of sovereignty. What exactly is meant when one speaks about the acquisition, preservation, infringement or loss of sovereignty? This book revisits the assumptions underlying the applications of this fundamental category, as well as studying the political discourses in which it has been embedded. 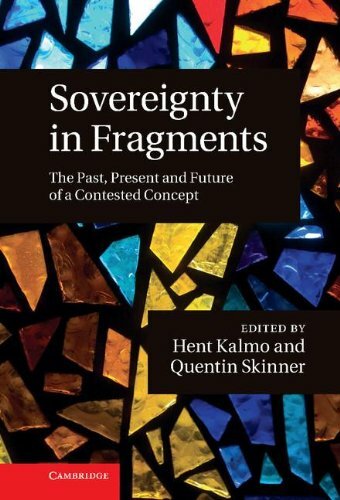 Bringing together historians, constitutional lawyers, political philosophers and experts in international relations, Sovereignty in Fragments seeks to dispel the illusion that there is a unitary concept of sovereignty of which one could offer a clear definition. This book will appeal to scholars and advanced students of international relations, international law and the history of political thought.